Registration is now open for groups and virtual groups that intend to use the CMS Web Interface or administer the Consumer Assessment of Healthcare Providers and Systems (CAHPS) for Merit-based Incentive Payment System (MIPS) Survey for 2019. 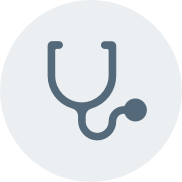 Groups and virtual groups must have 25 or more clinicians, including at least one MIPS eligible clinician, to register for the CMS Web Interface. Groups and virtual groups with two or more clinicians, including at least one MIPS eligible clinician, can register for the CAHPS for MIPS Survey. Registration is available through the Quality Payment Program website. The registration period opened on April 4, 2019, and closes on July 1, 2019, at 5 pm ET. For more information, please refer to the 2019 Registration Guide for the CMS Web Interface and CAHPS for MIPS Survey.